Square is also cool! 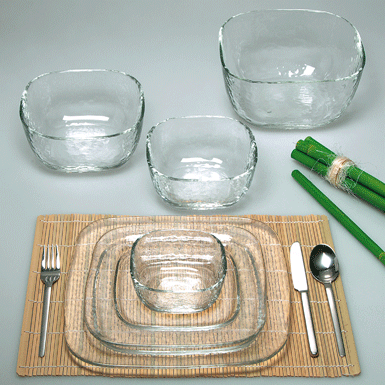 A whole series of plates and bowls with the typical Glasi-glass structure. Plates cast by hand and spun. Bowls hand blown, melted rim.